Hello, I'm Guy Roles and I present 'My Pick Of The Forties' on The UK 1940's Radio Station. I'm a collector of 78 rpm records and have a big collection of 1930's and 1940's dance band and swing 78s. 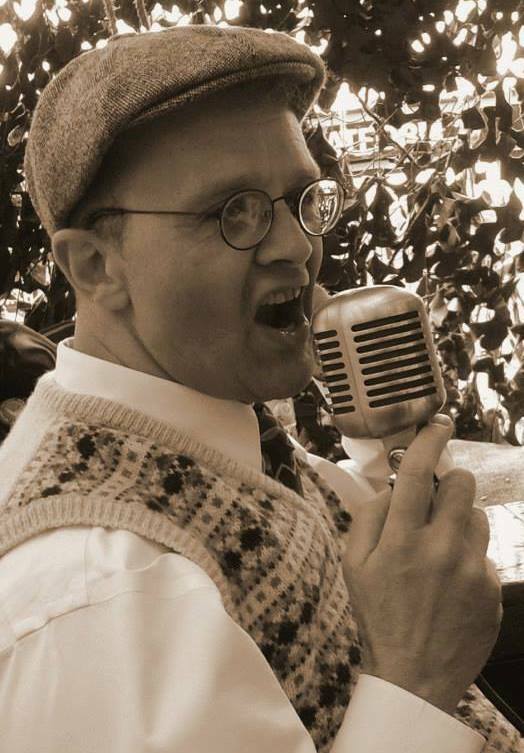 I have played the music at The Severn Valley Railway 1940's weekends for the past 10 years. I'm the proud owner of a beautiful 1939 Morris 12 which is great fun to drive to 1940's events. My show 'My pick of the forties' is not about one particular kind of music from the 1930's and 40's but it reflects my personal taste of the great music from that era. My 40's favourites include Glenn Miller, Benny Goodman, Geraldo, Carroll Gibbons, The Andrews Sisters, Anita O'Day, Al Jolson and many more. I'm looking forward to playing you 'my pick of the forties' Thanks for listening.